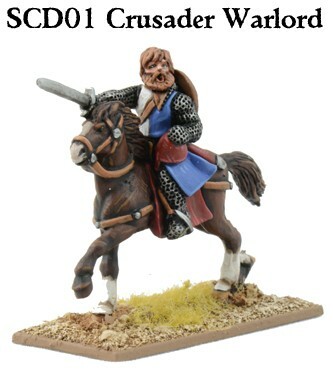 SCD01a Crusader Mounted Warlord (1). 28mm sized metal figure, supplied unpainted. Pack includes Renedra plastic base.